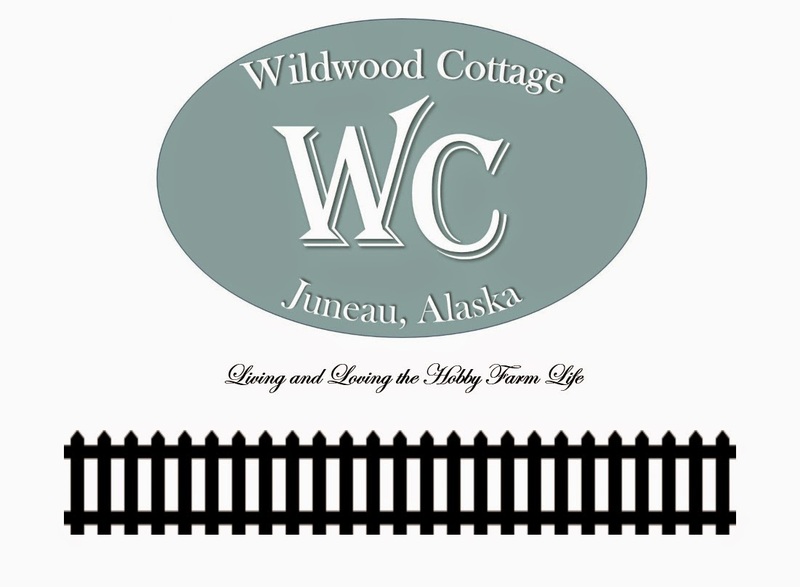 Wildwood Cottage Alaska: A Centsible Revision-My NEW Detergent Recipes! A nice carton of TSP, all for me! Use 1 heaping Tbsp per load. The result? While it was hard to measure the effect, let me just say the appearance after just one wash was marked. It's taken a few washings to fully get rid of the film, but my glasses look cleaner than they have in a long time-even before I started using homemade detergent! And I have quit adding vinegar to the rinse-aid compartment altogether, not to mention that my dishwasher itself also looks spiffy and clean! I decided to do a more controlled experiment for this stage. Since I needed to make up more detergent anyway, it was a great time to give it a whirl. I gathered two white, 100% cotton, men's undershirts that were in like-new condition. I laid them on my dining room table to be my specimens. I mixed my laundry soap as stated in my original centsible handout. However, after mixing in the gallon of hot water to the soapy mixture, I extracted 2 Tbsp. for my control group. Then I mixed in 1/3 cup of TSP to the rest of the hot solution (I figured the ratio as 1/3c TSP: 2.5c other soaps.) This will be my new test group. While the detergent cooled and set, I went back to the shirts. On each shirt I painted 1 Tbsp of Heinz orginal ketchup with a basting brush. Melt the grated bar soap in 2 cups of water in a saucepan on the stove. When melted, pour into a clean container and quickly stir in the borax, washing soda and TSP. When thoroughly mixed, pour in 1 gallon of HOT water. Stir to combine and then let set. It will gel. In fact with the TSP, it gels even more firmly! Now what about the Centsibility factor? While my husband paid almost $9 for our 4 lb carton, you can buy it by the individual pound as well. The average price seems to be $2-3/ lb on places like amazon.com. As I mentioned before, it is pretty much available at any hardware or plumbing store, so shop around for your best deal. One cup equals about 1 lb, so between re-mixing the dish soap and laundry soap, we have used 1 lb out of the 4 in the carton. That means that it does add roughly $2 more to the dish soap and $1 more to the cost of the batch of laundry soap. Still this is much cheaper than pre-made laundry detergent! If we add the $1 to the figures in the orignal centsible handout, we are looking at $2.25/70 loads which works out to .03/load! You may be able to score the generic or super coupon detergent for that price, but since they are not allowed to put TSP in it, you will not have cleaning power of this recipe! Remember also that people who are 'in the know' about TSP are buying pre-made cleaners at retail price and then adding in TSP as a booster! This way of doing it is MUCH more centsible than that! Additionally, while I have been typing this, I re-washed both shirts in the new detergent with a spray n' wash pretreatment in warm water. Now the spot appears to be completely out of both shirts! Hooray! thanks Hillary, after I use all of my "old recipe detergent" too I am certainly going to try this one..YAY. Hey Hill, will this work for the powdered detergent recipe. We don't do the liquid version,just the powdered borax, washing soda and shredded soap mixed together. Is the TSP powder also? Miss you! Hello lovely Heather! Yes, it should. Just mix it all in the ratio above. I miss you, too :( Big hugs to the Walla Walla gang! I & husband Paul also bought some TSP - a 1.81Kg container at a local general store - after I read the mises.org blog entry by J Tucker. I'm near the start of a 6 mo stay in Ontario Canada and will use a laundromat about 30 miles in another 2 or 3 weeks. However 2 days ago I needed to do a hand wash on a pair of khaki pants that had been blueberry juice splattered. I'd applied cold water soon after it happened but had to wait about 4 hours before getting home and able to get the numerous spots pre-spotted and washed. After several minutes of this hand agitation - I did not scrub the spots themselves - I rinsed the pants 3 times before declaring it done. The pants were hung to dry in the shower and I then noted how sparkling clean the bathroom sink was. WOW!! That's incredible alright! I pretty much write off anything that gets blueberry on it. That is great to know since we will be commencing our berry picking frenzy here in a a few weeks. Thanks for sharing! I can understand making one's own detergent in order to have full control over the ingredients (including using ones that the state prevents you from buying in commercial detergents), but cost-wise it seems like a false economy. You calculate that this detergent costs approximately $0.03 per load, and is thus a big savings over a pre-made detergent, but I wonder how much this reduces the total cost of washing a load, including the time spent making the detergent. I'd imagine the electricity, water, wear on the washing machine/dryer, and your time cost at least $1.00 per load, thus the relative savings of using $0.03 of detergent per load instead of say $0.20 per load is slight. Maybe if you're doing multiple loads daily this becomes significant; personally I only spend a couple of dollars a month on laundry, at a laundromat even. Anyway, I just wanted to mention this point on cost. I collect rainwater to use. I have been using TSP for about five years in my homemade soap. It cost effective when I don't have to buy a pretreatment. I can just use what I have made. Hmm, well for us our water is free (flat-rate), and you will spend the same amount of water, wear, and electricity washing with this detergent as you would with any other, so I guess I'm not understanding the point? Are you comparing the costs of doing laundry at home versus a laundromat? Just wondering if you could clarify the comparison you're making. Thanks! Off topic: I get more hits on my blog from Mises.org than any other site I visit. On topic: forty years or more ago, fortune magazine had an extensive article blowing apart the phosphate algae bloom link. I lived in Chicago and would travel to distant suburbs to purchase it. Forty years ago?? Wow! I didn't realize this debate had been going on that long! I will have to see if I can find an archive of that article. Thanks for stopping by! If you don't mind my asking, how much of the laundry detergent do you use per load? Thanks! Sure! I use 2 Tbsp for a large load, and 3 for a super load. However, that is in a top-loading, extra capacity washer. If you have a high efficiency or front-loader, you only need 1 Tbsp. I always make the disclaimer that if you use it in a front loader, it's at your own risk since the machine manuals say to only use HE detergents. The main thing is that it needs to be non-sudsing, which this recipe is. I really enjoy your blog. I'm glad that I came across this post. I've been making homemade laundry detergent for a year now. I really love using it, but I've noticed that some of our clothes are beginning to gray. No one seems to know why or how to get rid of it without using OxiClean or some other product. I can't wait for Saturday, so I can run to the hardware store. They have it in stock! And I'll be making more detergent next week. You may want to try blueing. It boosts the colors of clothes especially whites by dyeing them slightly bluer and tricking your eye in the same way color safe bleach does. I just received your recipe for your detergent. There is a question I have for you. On the back of the box it says not to use with bleach. But, wikipedia says you can. So confused I call TSP, they say not to use it due to it was unsafe and ruin my machine. Very concerned about this. We have a water treatment on our well and it puts bleach in the water. I use Clorox bleach for colors all the time. Should I be concerned about this? Oh on front loads machine. Soap causes suds. don't use soap. HE machines can not handle suds. That is what I found in my research about HE and homemade detergent. But,Still use at your own risk. I don't know who you talked to there, but either they assumed you were going to be using a lot of it in every load, or they don't know their own product. TSP will actually extend the life of a machine. It cleans away buildup and rinses extremely well, far better than detergent alone does. Also, when using TSP, you don't use as much detergent. The measurements people are currently suggested to use on labels is because there is no TSP in the detergent, so it takes more to clean. I would cut the detergent amount you would normally use in half and then go up or down from there. I happen to have a FL HE machine. It works and functions far better with the TSP than without. I do not have to clean it as often either. I've used the homemade detergent for years in both a regular agitator washer and a front load HE washer. I also add TSP to the colored loads. There is no need for it on the whites if you use bleach. I do not premix the TSP into the detergent. I only add about a half teaspoon to the colored clothes. I also add the TSP to the homemade dishwasher detergent and it does a beautiful job. Both work better than the detergents you buy over the counter and is so much cheaper per load. I have also noticed that my liquid dish soap (Dawn) no longer removes grease from dishes that I do by hand. Do you have a formula for mixing the TSP into liquid dish soap? I have tried some home made dishwasher soap in the past and it was worse with the white crud than the PF store bought detergents. I am going to try again using your recipe w/ the TSP. Thanks for the tip and any ideas you have for adding TSP to the liquid soap are enormously appreciated! I would not advise adding TSP to Dawn or any other hand wash dish detergent unless you use gloves to wash your dishes. I use the pink Palmolive dish soap and cut it with ZOTE pink bar; ratio of 1:1 or half and half. Does a beautiful job and cuts the grease well. You could prolly do the same with Dawn if that's your brand of choice. It's interesting that your Dawn isn't working because that's what I use, AND I actually dilute it 50/50 with water because it's a concentrate. I just buy the bulk jug from the local Costco...However, I do keep a little carafe of white vinegar on the side of the sink, and add a few drops into my rinse water to help with any missed grease or residue. I wonder if that would help you? It doesn't make the dishes smell or anything. Shucks, I use vinegar in my dishwasher 'jet dry' compartment and in my downy ball as a fabric softener as well. Love the stuff! All that being said, if I come across a good hand-soap recipe, I'll be sure to post it! i have recently been using the new dawn power clean, and i buy it at walmart. it works very well, but, i understand about grease problems. how i combat this, is to first rinse the dish/cooking pan, pour in some vinegar and use a cloth as if washing. then, i use dish soap and rinse. this works wonders on stainless steel, as my pans shine and don't have the white or blue haze that SS usually gets. vinegar is great stuff, and i put it in the bleach compartment of my old maytag neptune front loading HE machine. the vinegar i use, is white distilled which i have infused with lemon zest, by using a peeler to remove strips off of some lemons, 3,4,5 however lemony you want your vinegar. i pour the vinegar over the zest in a large glass jar, and leave it under the kitchen sink for a week before using. i even refill the vinegar many many times, adding new zest if needed. just make sure the zest does not have any of the pith on it. though, with the vinegar, i doubt it would cause a problem. i haven't used bleach in months now, since using vinegar. if the load needs something extra, i've used a very small amount of oxyclean, probably about a tsp. in the wash water. i have had no problems, as of yet. But, after reading this post, i have purchased some TSP, which in my area is Phosphate free. yes, phosphate free TSP! but, with afterthoughts, i don't believe i will be using it for laundry or dishes, unless i have a very stubborn problem. i just don't seem to need it after finally starting to use the lemon vinegar and the oxyclean. between the two, i don't have any problems with my dishes or my laundry. and i am a very hard person to satisfy when it comes to either. more so, than anyone else i've ever met. So, I just wanted to share this with You. Also, i have tried using others dry recipe for homemade dry laundry soap. it did not work well for me at all. infact, it ruined clothing, towels, wash cloths, and the rubber seal on my washing machine. i had never had a problem with any mold but almost immediately did, after using the dry recipe i read on many websites. if i were to use another recipe/ your recipe, i believe i would use it only in a top loading conventional machine, and use a weak version of the liquid recipe. i'm now having to save to buy a new machine, as the cost to repair mine is comparable to a new top loading machine. the seal that was ruined, is the large rubber seal that goes around the front of the tub. anyways, i'm glad to have found this page, and i do look forward to more. have a great day! I'm sorry I'm just now getting back to you! I'm working on getting my blogging groove back on after having a baby and starting a new business. Yes, I agree with your take on vinegar! I use it in a downy ball with every load I wash. It's a fantastic degreaser and natural fabric softener. And yes, I should have stated with this recipe as I did with my original that I have a top-loading conventional machine and it works great. However front-loaders are so much more sensitive that I disclaim readers to try it at their own risk. If you do make your own detergent, be sure to use the Fels Naptha soap (non-sudsing) and NO DAWN! Thanks for stopping by the ol' homestead! Blessings! The idea of adding TSP is to add the phosphates back into the detergent. The phosphate free TSP does not do that. I was wondering since I already have homemade dishwasher detergent : Borax/washing soda/ epsom salt/ lemonade can I add the TSP to this? It's just not getting them as clean as I like even with adding vinegar as a rinse aide. I hate to trash all of this if TSP will solve my problem. My laundry detergent with tsp didn't set up. In fact it got thinner as it cooled? Any suggestions? Don't add the TSP to the detergent. Add it to the loads you do as you need it. With the liquid laundry detergent, I'm not certain of the life expectancy of the TSP. I know the life expectancy of oxyclean is only several hours. I am having an issue with the TSP portion of this recipe. TSP can be bought in different purities. What you buy at a home center, like the DAP, may only be 6% Tri Sodium Phosphate... The rest is something else perhaps. Look at the box for the percentage. On the other hand, you can purchade 99% pure Tri Sodium Phosphate (Na3Po4) surely this make a huge difference in the outcome of this experiment. According to the msds, this product is 75-80% trisodium phosphate dodecahydrate and 20-25% sodium carbonate. This is less pure than it sounds because it is not even 75-80% trisodium phosphate. The dodecahydrate is actually 57% water. so you are actually paying for a product that is 1/3 trisodium phosphate and 1/2 water. The msds of this product is not very clear but the ingredients section lists trisodium phosphate content at 30-60%, again in the dodecahydrate form based on the cas number. sodium sesquicarbonate is listed at 10-30% and the rest of the ingredients are a mystery. Neither of these cleaners contain tsp at all. At least red devil is honest because they put phosphate free on the package. However, lundmark uses deceptive packaging by not being clear on what the product contains. They both contain sodium metasilicate which is not a bad cleaner but not nearly as good as trisodium phosphate. Sunnyside on the other hand contains pure 100% anhydrous trisodium phosphate. The msds isn't too clear but I contacted sunnyside corporation and inquired on the composition of their product. The technical director verified that it is 100% anhydrous tsp. ...and to go one step further, are you sure we should not be using Trisodium phosphate? Can't wait to try your recipe! I have been using a homemade laundry powder which I like but don't LOVE. I think it may be causing some mold on the "roof" of the detergent dispenser in my whirlpool front loader machine. :( I was wondering what you store your liquid detergent in?? do you just leave it in the 5 gallon bucket and scoop a tbsp. out when needed? Does it need to be stored in an air tight container? Looking forward to adding TSP to my detergent for clothing and dishes. Yay!!!! Agree with Joey... for laundry use look for sodium tripolyphosphate -- STPP, not TSP.